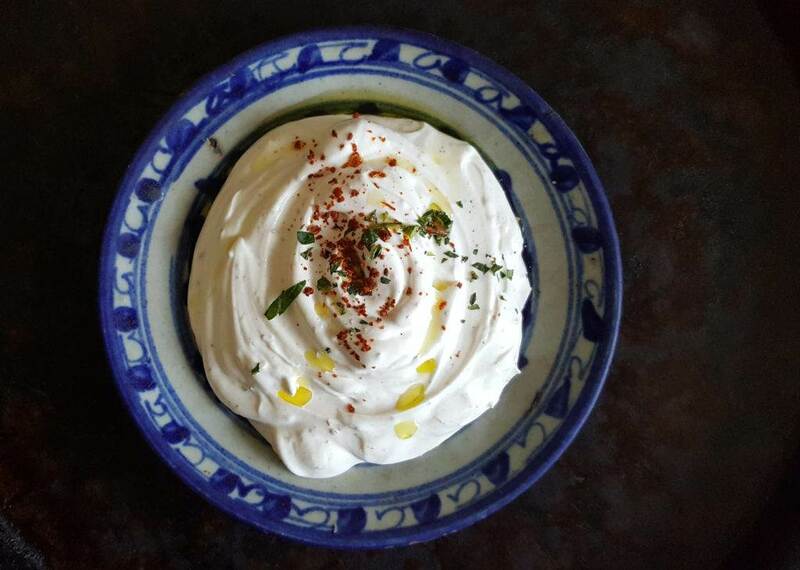 Labneh is our favorite child in the dairy family. Part yogurt, part cheese (due to its thicker-than-sour-cream consistency), this cultured dairy product has everything we’re looking for in a dip, cooling sauce or shakshuka accompaniment. While sour cream is super tangy and yogurt has a touch too much lactic acid to pair with savory dishes, Labneh has a distinctive sweet tang, making it our go-to partner for Lamb Meatballs or to swirl with Za’atar and serve with warm, fresh pita. Thanks for your take on this condiment, Chef John! You can find Labneh at your local Halal, Mediterranean or Hispanic markets. Whisk labneh, allspice, and 11⁄2 tsp. Aleppo pepper in a medium bowl; season with salt and black pepper. Drizzle with oil and top with more Aleppo pepper.